Time for another trip to Brighton, on the South Coast of the UK for a weekend of SUP action. 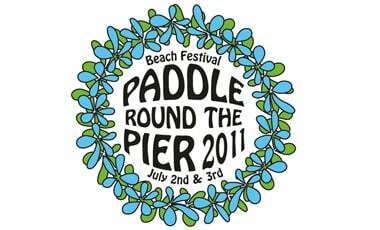 Paddle Round the Pier has become something of the industry meet in the UK for all the SUP movers and shakers. There are also several SUP races on the water to keep everyone happy. On Saturday 2nd July the will be a 5 mile SUP race as part of the Summer Sizzler series. Entry is £15, you can enter on the day or to enrol prior to the event via email info@thebrightonwatersports.co.uk 0r call 01273 323160 stating name/class you want to race in/contact number which can be used at the event. The Euro-Enduro SUP race was sadly cancelled. This is down to only receiving 12 entrants, for more information read this release. You can also have a fun paddle in the pier to pier to pier race along with all the other mad cap contraptions that the entrants put together. Other stuff that is going on include a live music stage, skateboarding area, food stalls, SUP trade stands with the latest equipment on show and a general party atmosphere, it is definitly worth a trip down to Brighton to check it out. Paddle Round the Pier website.